It's been 6 months since we received the blow of losing our appeal. It has taken me a while to integrate this fact and see my way to next steps. I can imagine it has been equally hard for you all to just walk away after almost 6 years of dedicated efforts. One thing is certain: The fight is not over. 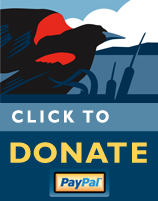 We have formed such a wonderful, effective, and creative community working to save our wetlands and park. This joining together made us strong. We can be satisfied that we brought pertinent issues into the public's consciousness. This kind of cohesive effort can go on, should go on. I hope you agree. To start things going, there will be a party for us to gather at The Mail Depot on Friday November 14, 2014, 7 PM. Expect good music and of course great conversation. Bring pot luck food and drinks, bring friends. We'll have an update on future plans to persevere protecting our park and gateway and an opportunity to hear ideas from all of you. 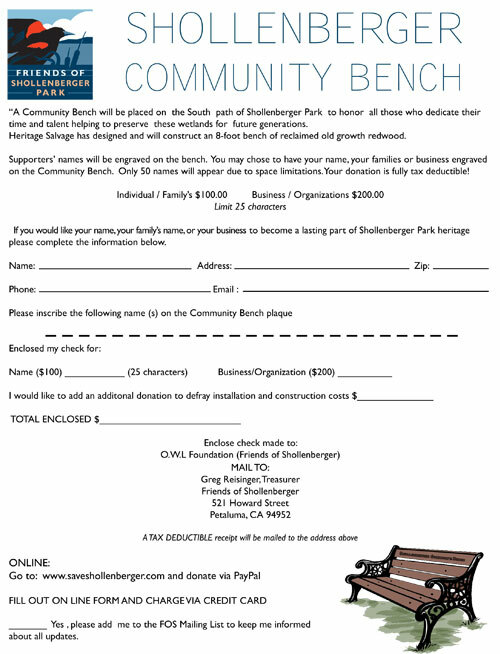 The introduction of "The Bench Project"
2) have your name(s) etched on the bench. There is only space for 50 donors. donation form, and party with your friends and colleagues.